Leider, leider, leider habe ich selbst keine Badewanne (schluchz), aber dafür ganz liebe Leute in meinem Leben, die mich bei sich baden lassen, wenn die Sehnsucht zu groß wird (ihr seht, das Thema ist mir ernst). 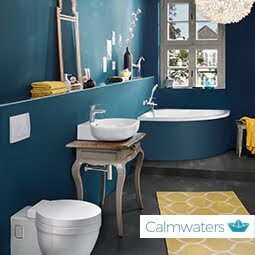 Als Dankeschön fand ich selbstgemachte Badebomben angemessen und habe nach kleiner Suche diese Anleitung hier von Calmwaters gefunden. Hat alles geklappt und super Spaß gemacht! Unfortunately, so unfortunately, I don't have a bath tub myself (sobs silently), but what I do have in my life are lovely people that let me use their bath tub when the yearning gets too big (you see, this is serious). As a thank you, I thought handmade bath bombs would be appropriate and have found this Calmwaters tutorial after a little search. It all worked and was really good fun! Ich habe für meine Badebomben nur die Hälfte der angegebenen Zutaten genommen und sie mit blauer Lebensmittelfarbe, getrocknetem Lavendel und Tee verschönert. Ich finde das Türkis wahnsinnig schön und freue mich schon, sie auch mal auszuprobieren! Als Förmchen habe ich eine Silikon-Muffinform sowie eine Pralinenform genommen und ich bin erstaunt, wie gut das geklappt hat. Wichtig ist nur, ganz fest zu stopfen! Since the article is in German, I'll quickly write down the recipe: mix 25g of starch, 63g of citric acid and 125g sodium bicarb (no washing soda!). Since I used powder food colouring, I added it at this stage. Melt 35g of coconut oil (or any other oil) and mix with the dry ingredients. The consistency should be like dry sand. If you have, add some drops of essential oil (but only those that are safe for skin contact), liquid food colouring, glitter, tea, flowers, salt, etc. I used blue food colouring, dried lavender and tea. Form balls with your hand or add the mix to a silicone form; I used a normal muffin mold and a chocolate mold and it worked really well! Let sit in the fridge for at least 8 hours and enjoy! Sehr schöne Idee. Ich liebe solche DIY-Posts und wage mich selbst gerne mal an den ein oder anderen Versuch. Deine Idee hast du echt super dargestellt, kommt definitiv auf meine To-Do List ! Wow this looks amazing! Thanks so much for the idea! Super fun idea! I have really, really sensitive (and dry) skin, and am always on the prowl for easy, simple DIY beauty projects like this. Bookmarked big time! hey kati, die sind ja super geworden, eine klasse idee! Klasse Idee - echt toll!